Freebies! 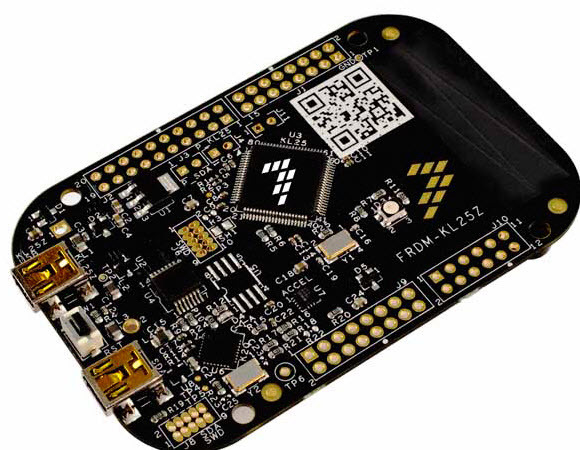 We're giving away some Freescale Kinetis Cortex-M0+ development boards. More info in the article about a strange IDE later in this Muse. While I teach the students that they should request from their employer budget and professional tools, it is always good to have a free/inexpensive open source solution at hand :-). As a firmware developer, I frequently need to send serial data back and forth between a micro and another device (usually a PC). In the past I have used many different protocols, most of which have been custom for that application. Recently I ran across Google's Protocol Buffers (https://developers.google.com/protocol-buffers/docs/overview) and thought it was a great idea. Someone has taken the idea a step further and implemented it with embedded systems in mind (https://code.google.com/p/nanopb/). Do you have any experience with or advice on the topic of serialization protocols? It would be great to get feedback from other engineers via The Embedded Muse. The mbed people are getting a lot of press recently. It seems they are going in the direction of the cloud now, but their baseline tools remain really interesting. I wrote about this on embedded.com a couple of years ago, and here's an updated view. IDEs are all pretty much the same. Sure, an IDE may be based on Eclipse, or could be proprietary, but basically they all consist of an enormous installable that gobbles as many resources as possible on your PC. In the embedded world most are PC-centric, though a few do support Linux or the Mac. In general these tools offer a huge wealth of resources for building and debugging firmware. mbed (yes, spelled with a lower-case "m") is an ARM-sponsored outfit that supports a number of low-cost development boards based on a variety of ARM Cortex-M series cores. The boards cost as little as $13. As is common today these cores have gobs of I/O ranging from simple analog to USB and Ethernet (depending on the board). The following picture shows an mbed board I've used a lot recently. 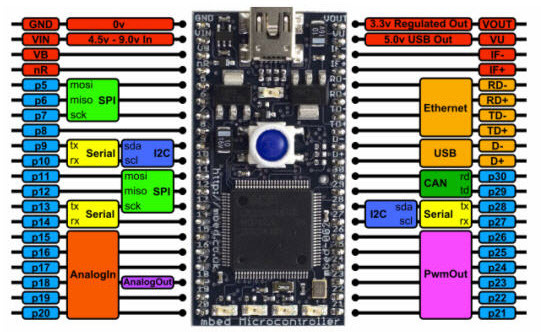 It has an NXP LPC-1768 core which is a Cortex M3 with 512KB of flash and 32 KB of RAM. It's the size of a 40 pin DIP and has a DIP pinout, which makes it easy to use it on solderless breadboards. And it connects to the development host via a USB cable which also provides power. Note that there's plenty of I/O, both analog and digital. mbed is in the IDE business but they won't sell you an IDE. Instead, the compiler is web-hosted and access to the environment is free. The IDE isn't a toy; that web interface is connected to the full ARM compiler. Debugging resources are just about non-existent. Don't count on trace or complex breakpoints. Your code can toggle the board's LEDs to provide some debugging feedback, or you can use printfs which goes back up the USB link to a terminal window, and works surprisingly well. #include   "mbed.h"      // This library has all of the definitions used below. DigitalOut signal(p4);   // Use pin 4 as a digital output. AnalogIn   adc(p19);     // Pin 19 will be a 12 bit ADC input. signal.write = 1;      // Write to pin 4.
i=signal.read;         // Read from pin 4.
analog = adc.read();   // Read ADC from pin 19. That's it -- the tools will do all of the work to properly multiplex and configure the pins. Much of the headaches of doing embedded work disappears. There's no link process, no memory maps to puzzle out, and no I/O configuration. Interrupts are supported but you don't have to set up the vectors, NVIC, and all of that. Without separate compilation and with only very limited debugger functionality the mbed toolchain is not suited to production work of anything other than very simple applications. But it is a fantastic resource for kids and others who want to get acquainted with embedded programming. I have found myself using it a lot for doing small scale experiments comprising under 1000 or so lines of code. 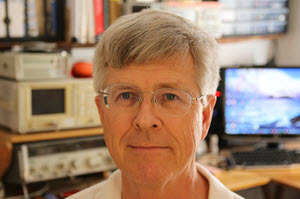 It makes a heck of a data logger/controller, and is what I used to gather the several million data points about battery behavior described in this report: Hardware and Firmware Issues in Using Ultra-Low Power MCUs. This is the same board Professor Erich Styger used in the Tools article above to build a logic analyzer. Freescale generously sent me some of these. So here's a giveaway! What's the best use you'd put one of these to? Send your answer to contest@ganssle.com. We can't answer the emails as we're usually bombarded with replies. However, a distinguished (when they are sober) panel of judges will pick the two most deserving or fun answers, and the winners will get one of these boards. Submissions due by January 28th. mbed's web site is http://developer.mbed.org/. There you'll also find a ton of code, all ready to go. Their main site (www.mbed.org) now seems devoted to the cloud, IoT, and an OS which isn't available. When it does come out prepare for screams of agony from their RTOS partners. One does wonder how such a complex product will get the kind of support most developers require. The interesting bug in the 1/5/2015 reminded me of a bug I had fought, maybe it's worthy of a paragraph in your column. Back in 1995, I was working as a consultant for a company whose main business was stock markets terminals. They saw a problem, asked me to look into it because it was somewhat tied into what I was working on. Berkshire Hathaway's stock was at $33,000, but our terminals were screwing up the price when it updated. The initial paint of the stock quote came from a server, then it was updated locally as trades came in. The obvious thing to check is whether the price was in an unsigned short, and went over 32768. Berkshire is a hassle because they haven't split their stock. Everything was in double precision floating point numbers, so that wasn't the problem. Next day, Berkshire was around $31,000, everything worked fine. A few days later, it was around $33,000, and again it was failing. Trolling through the floating point library, I noticed a lot of basic functions, i.e. one would be fdiv x; fwait;. Eventually I noticed that the multiply one didn't have an fwait command. Turns out, the floating point co-processor executed most multiplication commands quick enough that the fwait wasn't needed. When the operand went over 16 bits of "real" data (as opposed to zeroes), it took went through a longer calculation, needed the missing fwait. So on days when Berkshire's price was over $32768, the floating point calcs would fail. When it was under, it would work fine. Some may remember Motorola's one-bit microprocessor, which was really made. 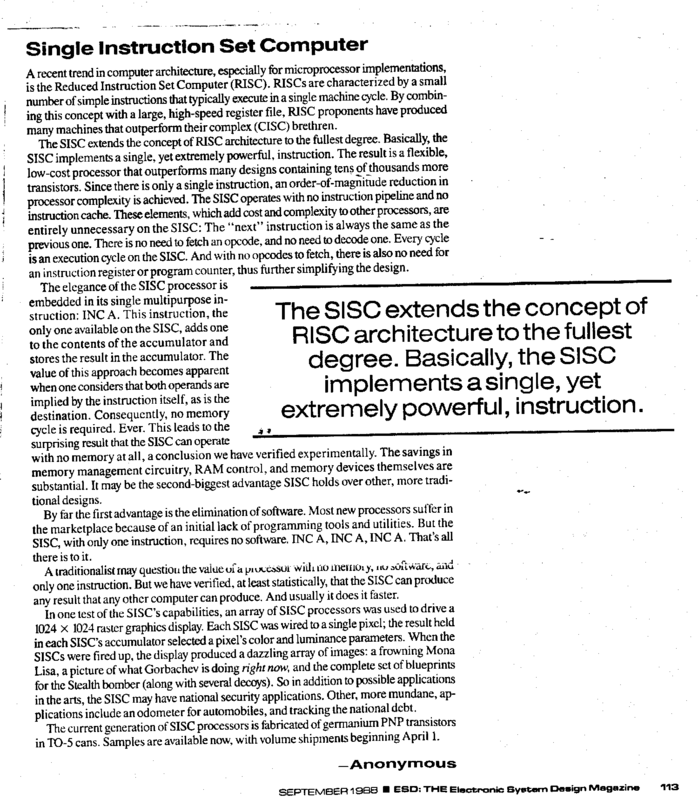 But how about a one-instruction microprocessor? The implication, of course, is that no op codes are needed, greatly simplifying the design. In one implementation the instruction is "subtract and branch if negative." Typically an instruction has just pointers to the source and destination operands, plus the destination address if the branch is taken. There's more information here and here. Vlad Z sent in this amusing concept for an even more compact design. Then there's the zero-instruction computer, which is really different. If there are zero instructions, how many programmers are needed? Let me know if you’re hiring embedded engineers. No recruiters please, and I reserve the right to edit ads to fit the format and intents of this newsletter. Please keep it to 100 words. No charge for the ads. A friend set his status on Facebook: "I love couriers. A delivery is on its way, split into three packages. All left NL together. All arrived in GB together. Two are now in Gloucester, one in Exeter." Another friend commented: "Couriers now use TCP/IP."